I can't get over how beautiful these are! Don't you wish you could see the originals in person? 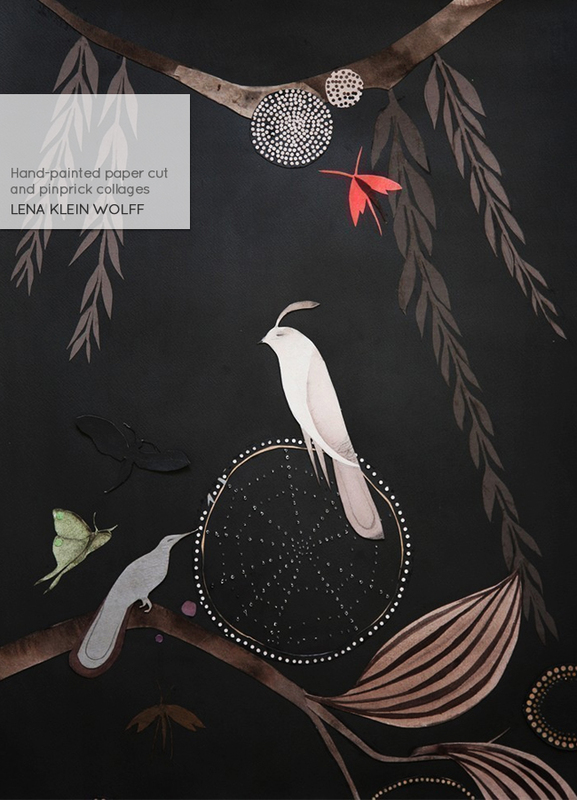 Ms Lena Klein Wolff, I think I love you. What a perfect way to end the week here. I hope you all have a wonderful break this weekend, whether you're cleaning up your freshly painted home, discovering new designers to love at your local craft fair or simply getting some much needed R&R (I like the sound of that). Thanks for stopping by this week and a big hello to a couple of new readers, I appreciate your comments so much! Oh and one last thing, I'm filling in for Holly next Tuesday for her weekly Etsy Take Five Tuesdays post - woohooo can't wait! These are Ah-mazing! So intricate and lovely. Oh my....god. I am in love, am in love, am in love! These are absolutely magical and I wish I could cover my walls with them! Wow...Thanks for the intro hun! I can only imagine how much work goes into this! Great pick! Wow, these are stunning! Have a good weekend little miss M! These are super! You have so much inspiring work on here, love it! Beautiful work! I agree, in love! Oh...I love owls. 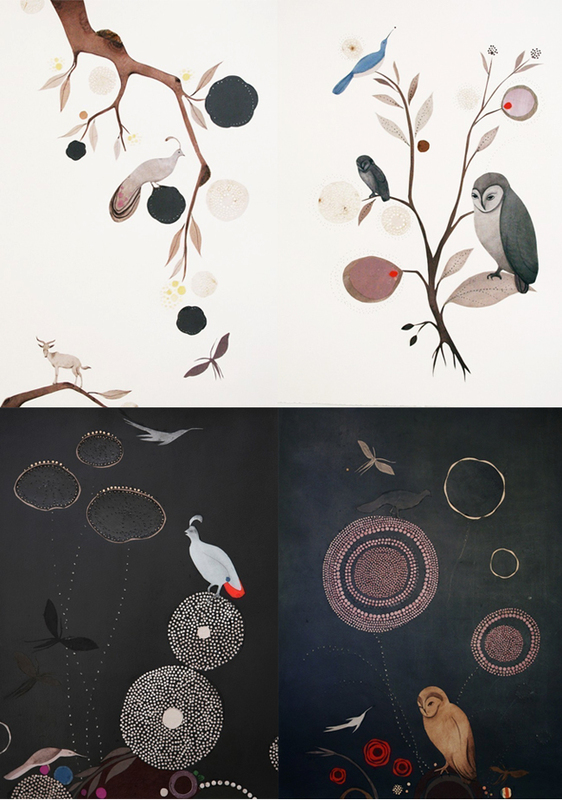 The delicate work and muted color palette does them perfect justice! Ooh, you had a little re-design while I was away, it all looks beautiful marichelle! I can't wait to see your picks over at Holly's on Tuesday and wow amazing collages, thank you for posting these. Very ORIGINAL works of art!!! Absolutely love it!!! I continue to be fascinated by paper cuts. Wow, wow, wow! Thanks so much for sharing this - I'm in love as well! I really hope Lena considers designing wallpaper! Thanks for all of your comments, I'm so happy you enjoyed this post!